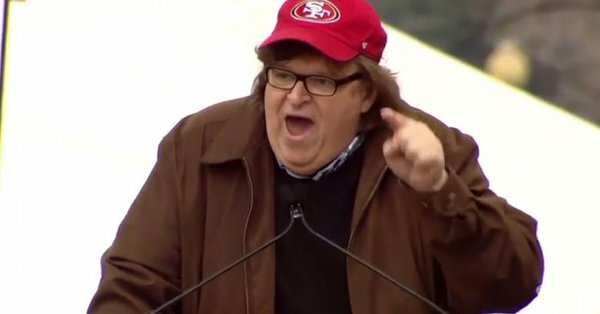 Michael Moore thinks it’s time to repeal the 2nd Amendment and replace it with a 28th Amendment that puts the public’s safety ahead of an individual’s right to own and fire a gun. In the wake of the Las Vegas massacre, Moore said in a lengthy Facebook post that the “ancient and outdated” 2nd Amendment was written before bullets and revolvers were even invented. Moore’s proposed amendment says individuals can use guns for sport and gathering food, but there are heavy restrictions on how guns can be purchased, what types of guns are available to the public and where they can be stored. “This is the sane approach that meets everyone’s needs – everyone, that is, except those of the serial killer, the mass murderer, the violent ex-husband, the disgruntled employee or the disturbed and bullied teenager,” Moore wrote. “This can come to an end with the repeal of the 2nd Amendment and replacing it with the 28th Amendment,” Moore said.